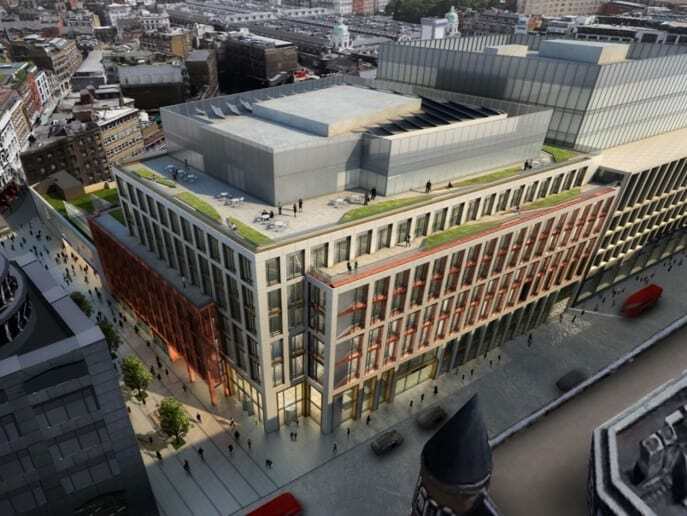 TRANSPORT For London (TFL) has announced that workspace provider HB Reavis will build seven storeys of high quality office space above the brand new Elizabeth Line platforms at Farringdon station in London. The deal will see a new 138,000 sq ft mixed use development on the corner of Cowcross Street and Farringdon Road, adjacent to the station building, with retail space at ground floor and basement levels. Each of the office floors will have a single core with a flexible floorplate of over 29,000 sq ft. HB Reavis says the development will aim to achieve the WELL Building Institute standard of Platinum, and will include a landlord-operated gym and one of London’s highest office space to terrace ratios. Graeme Craig, Director of Commercial Development at TfL, said “With the arrival of the Elizabeth line, Farringdon will become one of the best connected places in London. Twelve major developments are now planned over and around the new Elizabeth line stations and construction sites totalling three million square feet of office, retail and residential space between Paddington in the west and Woolwich in the east. The developments are expected to raise £500m for reinvestment in improving transport in London. Services on the Elizabeth Line will begin in December 2018.